Ever wish you could see in the dark? It would make life a bit easier. No more tripping over clutter on the ground or feeling walls for a switch. Humans rely quite heavily on their sight, but some animals can make do by illuminating their surroundings with sound. Bats are just such an animal. They belong to a privileged group of organisms including toothed whales (like sperm whales, dolphins, and killer whales) and shrews that use sound to see the world. By listening for the reflections of their high-frequency clicks, bats are able to build up an accurate picture of the world around them. The clicks are often too high for humans to hear, sometimes reaching as high as 110 kHz (human hearing generally goes from 20Hz-20kHz). This amazing superpower is called echolocation but not all bats have it. Most microbats (usually small, insect-eating, with proportionally large ears) can echolocate using their throat to produce clicks, while megabats (larger, fruit-eating, with large eyes) usually can’t. Like most rules in biology, though, these distinctions aren’t universal. Some megabats have evolved echolocation by way of specialized nose structures and others are smaller than big microbats. 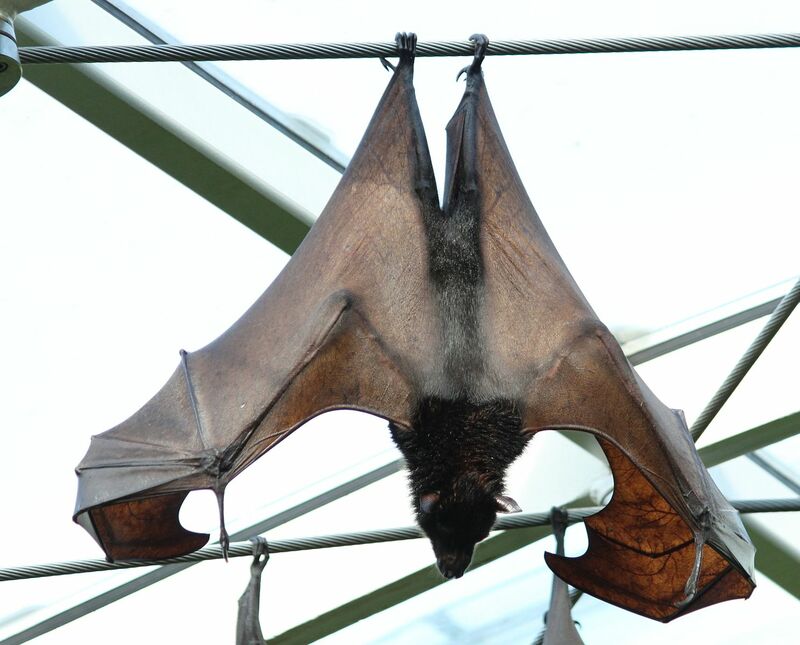 An example of a megabat, waiting for Comissioner Gordon to turn on the signal. This little microbat can’t wait to be free! So now that you’ve been acquainted with the notion of echolocation and the bat family tree, let’s start talking about some neat things that bats can do with their special ability. Since echolocation is dependent on a bat receiving and interpreting the reflections of sound, it is particularly susceptible to interference. The biggest source of interference is the bat itself. Bats produce some of the loudest sounds in nature and have some of the most sensitive ears to register the reflections that come back hundreds of times quieter. Imagine revving up a Harley Davidson and putting a traffic cone on your ear to hear someone whispering across the room. It would probably hurt if you did those things at the same time. You’d be too rattled by the revving to be able to listen to the whisper. Bats avoid this by temporarily disconnecting their ears as they shriek, then quickly reconnecting them in time to hear the echo. One particular species of bat, the Mexican free-tailed bat (Tadarida brasiliensis), has been recently observed messing with its competitors’ signals. By emitting a special signal right when another bat is about to catch an insect, the bats make each other miss. 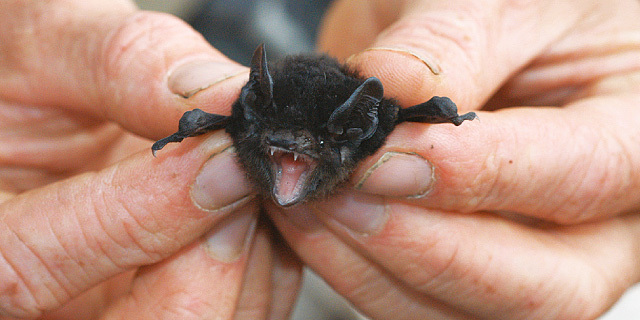 It’s the bat equivalent of yelling “PSYCH!” when someone is about to shoot a free-throw. Unlike the obnoxious friend though, the bat version actually works. The bats’ success rate drops by about 80%. It’s such an effective strategy that two bats will even hang out near each other, jamming each others’ signals every time one swoops in for a bug, until someone gives up. The same species of bat that jams also lives in close proximity to natural gas fields in New Mexico. Some of the rigs have compressors that emit a constant, loud noise that can interfere with echolocation calls. For the Mexican free-tailed bats, whose normal calls fall within the same frequency range as the compressors, the loud wells are avoided when possible. The bats have also begun to change their calls, making them longer and in a more restricted range of frequencies. This strategy would make the calls more easily distinguishable from the background din and marks the first time human-made noise has been shown to interfere with bat life. We know that humans can’t hear a lot of what the bats are “saying” when they are building up a sonar picture because our ears aren’t sensitive to the right frequencies. This makes sense because, for the vast majority of humans, it really doesn’t matter what the bats are saying. It’s a whole other issue if you’re a moth about to be eaten. There’s a lot of (evolutionary) pressure to hear the bats coming in order to avoid getting eaten. Some noctuids, a rather large family of moths, have evolved bat-sensing ears that warn the insect of impending disaster. If the bat is far enough away, the moth will make a break for it, otherwise it will just start flying erratically in random directions to try and make the bat miss. The Pallas long-tongue bat (Glossophaga soricina) still manages to get a meal by using only ultra-high-frequency, low intensity calls to find moths and by going silent on approach. This stealth mode doesn’t trip the moth’s defences. Stealth bats. Also happen to have the fastest metabolism of any known mammal. Imagine a creature that never grows up, can regenerate limbs without scars, and has a sort of slimy, alien-like cuteness. Sounds like a critter you’d like to meet, right? 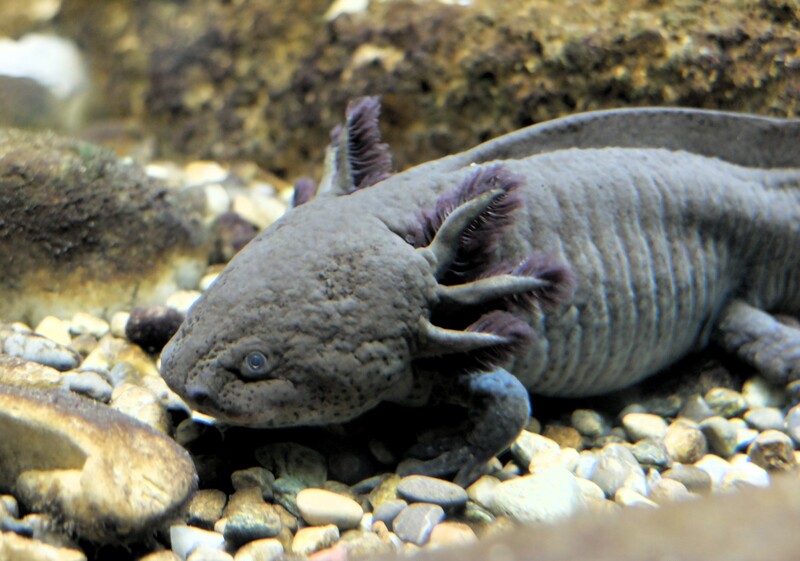 Ambystoma mexicanum, the axolotl, lives all over the world in aquaria but their only wild habitat is under severe threat. Chances are that neither of us will ever meet a wild one and that is a shame. This fascinating amphibian, through a quirk of evolution, is neotenous. This means that it never really leaves the tadpole stage. Where most salamanders and frogs will leave behind external gills and develop lungs to breathe on land, the axolotl decides it is perfectly happy and stays put underwater with beautiful gill fans collecting the oxygen it needs. Not only does this incredible creature never grow up, but it can also totally regenerate lost limbs. 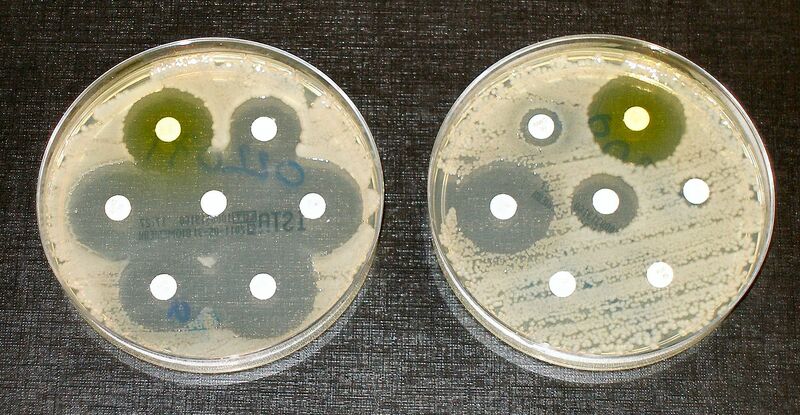 This makes it a valuable model organism for scientists to study in the lab. The exact mechanism behind this regeneration is still being investigated, in hopes that one day a technique for human regeneration will be discovered, but there are some interesting findings that have already come out. The generally accepted theory was that when a limb was cut off, the axolotl would send a signal to the stump that would turn the cells at the end to pluripotent stem cells. These cells would be able to duplicate and grow into any tissue and are similar to the cells found in embryos. Recent research out of Germany, however, showed that the cells at the end of the stump don’t revert to a totally embryonic state. They are still able to grow into tissues, but only certain kinds of tissue. The part of the stump that was muscle remembers that it needs to grow muscle, whereas the part that was nerve remembers that it needs to grow nerve. Lake Xochimilco in Mexico City is the only place in the world the axolotl can be found in the wild, making them critically endangered according to the IUCN. They used to live in another nearby lake named Chalco, until that was drained for fear of flooding. For hundreds of years the axolotl was abundant enough to be a staple in the diet of locals, but now they are nearly impossible to find. In a 2002-2003 survey where over 1800 nets were cast over the entirety of Lake Xochimilco, scientists could only find 42 of the little amphibians. 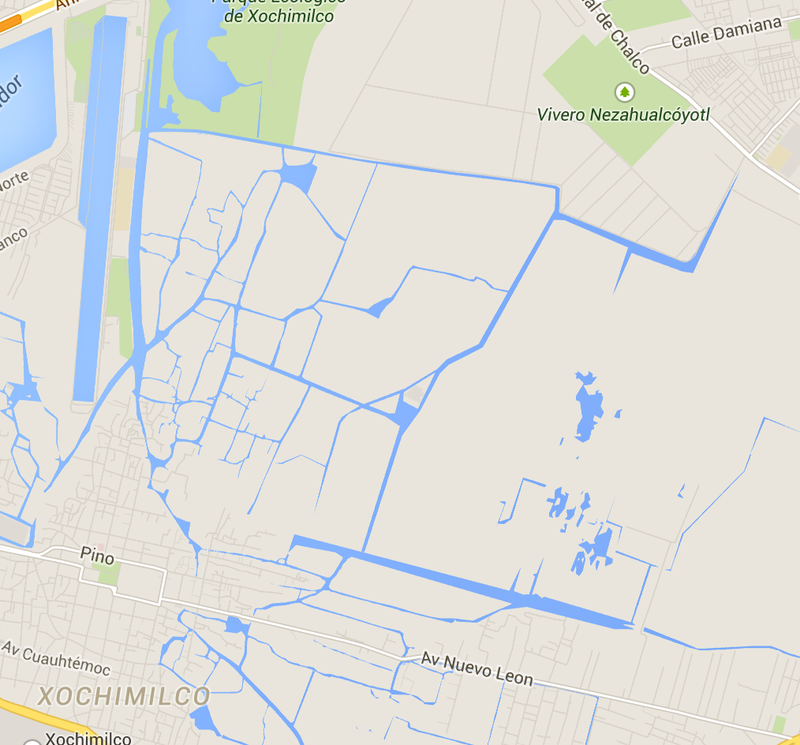 The first thing to understand about axolotl decline is that calling Xochimilco a lake is kind of a stretch. “Lake” Xochimilco. Basically a network of canals surrounded by farms. This small, restricted environment is a closed system, meaning it does not drain anywhere. It is also surrounded by farms which provide much of the food needed to feed Mexico City. Agricultural runoff from the farms and pollution from the nearby megacity accumulate, causing severe damage to the ecosystem and endangering the few axolotls that remain. The axolotl is an incredible animal at severe risk of extinction in the wild. It is the Peter Pan of the animal kingdom, refusing to grow up and hiding from hooks. It’s most amazing power, regeneration, is still being studied and one day may prove the key to human limb regrowth. For all this and more, the axolotl is most definitely an interesting thing. Some captive axolotls, like this one, are leucistic (a condition similar to albinism that causes animals to become white). Aren’t they cute? 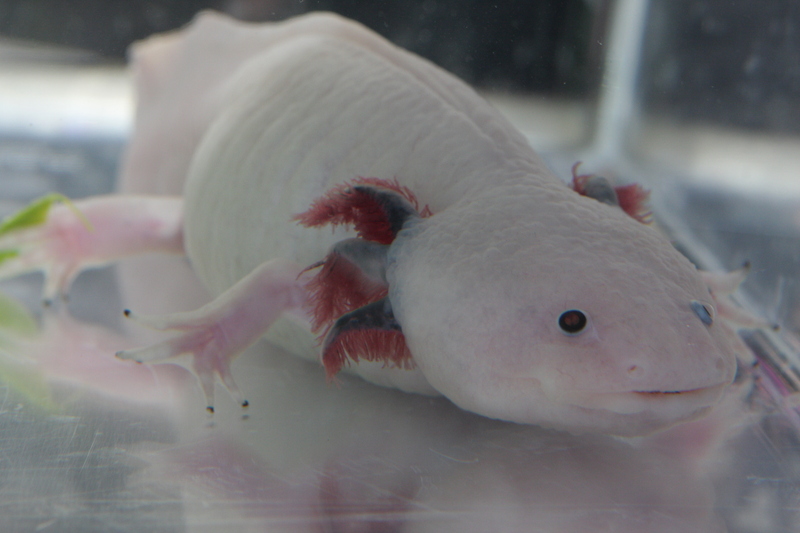 Weird Creatures with Nick Baker did a great documentary on axolotls which is available on Youtube. OK, so in reality we just turned off all the lights in the Bristol Improv Theatre, and the Rising Ape team forgot to wash, but bear with us for a moment. Rising Ape returns with a night of bat-themed madness. Bring a team and stretch your wings in the quiz. You better know your long ears from your short snouts, your Dracula from your Orlok, and your Slazenger from your Gunn & Moore. But as bat researchers stuck in a terrifying cave, we don’t expect you to just sit there all night. Be prepared to get up close and personal, untangling these creature’s fascinating secrets for yourselves with help from some special guests. To conclude the night’s eerie proceedings, real-life Batwoman Heather Nichol will share her personal journey into the world of bats. 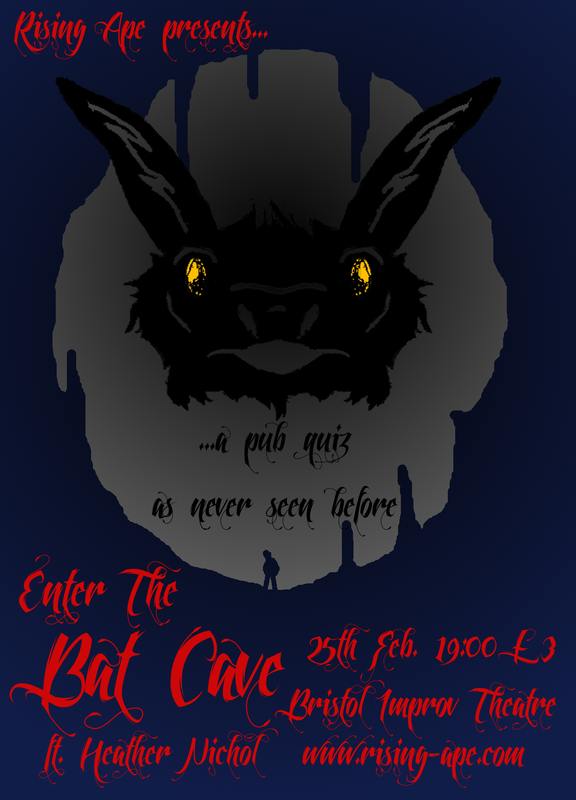 Enter the Bat Cave… there is no exit. 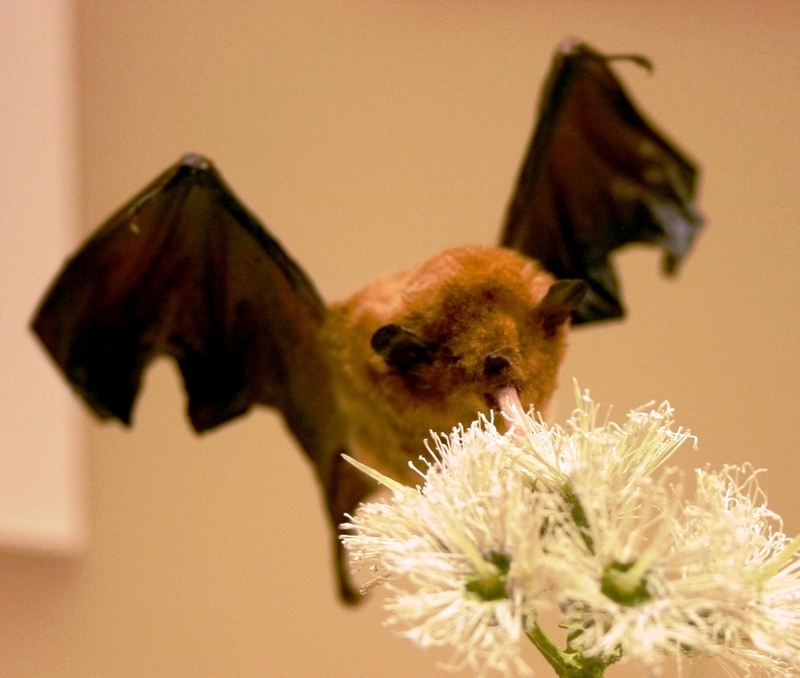 More about Heather Nichol: Heather has been involved in bat conservation for the past 5 years. She was first introduced to the world of bats during her undergraduate degree at the University of Leeds, and has since taken part in various conservation projects, including a project that discovered the first know breeding colony of Alcathoe bats in the UK. Heather has just completed a Masters by Research at the University of Bristol studying one of the hot topics in ecology at moment: bat fatalities in wind farms in Britain.